About the jobs like medical records clerk, and receptionist, that does not count in experience as in medical coding, does it? Will working a job like that, remove my "A"? Same problem here. I live in Los Angeles in the middle of numerous large physicians groups and hospitals. I have 3 years medical billing and insurance follow-up experience and passed CPC exam August this year. I've applied to every job I can, but everyone wants coding experience. I'm now expanding my job search to billing positions with organizations that also do coding in the hope that I will be able to get coding experience and remove the A from CPC-A. Any suggestions are much appreciated. I am in the same positon with my CPC-A in Northeast PA. I have applied and no luck everyone wants experience but aren't willing to give me a chance. The project x-tern would be great except its over 2 hours away. I had to put coding on hold to work in a full time retail position to pay the bills. Anyone suggestion???????????? My heart goes out to everyone - especially in this economy. There is a shortage of coders yet new coders are having trouble getting in the door. All I can say is hang in there - it is like any other field when you have no experience. You have to keep looking every day and not give up. Make a few copies of your resume and hit every hospital, clinic, doctor's office, and the diagnostic centers. Ask to see the hiring manager or make an appointment. Give them a copy of your resume and tell them your dilemma and ask them if they can help you with a job as a medical records, data entry, dietary aide, patient admissions and if they say nothing available right now, ask if they will allow you to be an Intern. You have a better chance to get hired in the future if you work there free as an Intern. Prove yourself as a good hard worker, on time, and eager to learn. I wish you all the best of luck. Just be a little patient, I think it will get better by early next year. So Intern for a few months. Take a CPC-H, E/M workshops, etc. Make yourself look good to those employers. 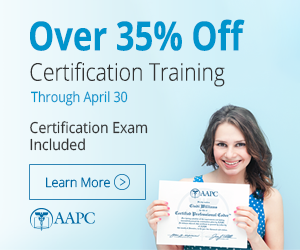 I am just finishing my externship and preparing for my CPC-A certification test. I guess it can be hard starting out, but we have to remember, everyone started out the same way! If SO many others can make it, so can we. Just gotta keep truckin' and never give up on yourself!